Jesus was born into a world marked by oppression and injustice to announce and embody God’s global liberation movement. Like an insurgent, Jesus comes in under the radar, behind enemy lines, and then builds a foundation of trust with a growing entourage of humble followers. He incites a revolution that he calls the Kingdom of God. 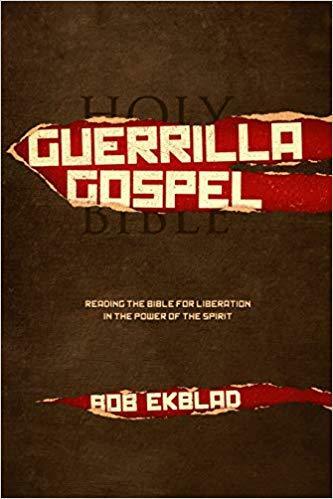 Guerrilla Gospel: Reading the Bible for Liberation in the Power of the Spirit is a practical manual that condenses the outlines of God’s liberation movement. In this book you will learn to identify and overcome common obstacles to stepping into active faith, grow in your awareness of how God speaks and the Spirit guides, discover approaches to preparing messages that invite conversion and holistic transformation, learn essential basics for preparing and leading Bible studies and grow in understanding how the gifts of the Spirit are available now to provide essential support for the adventure of faith.